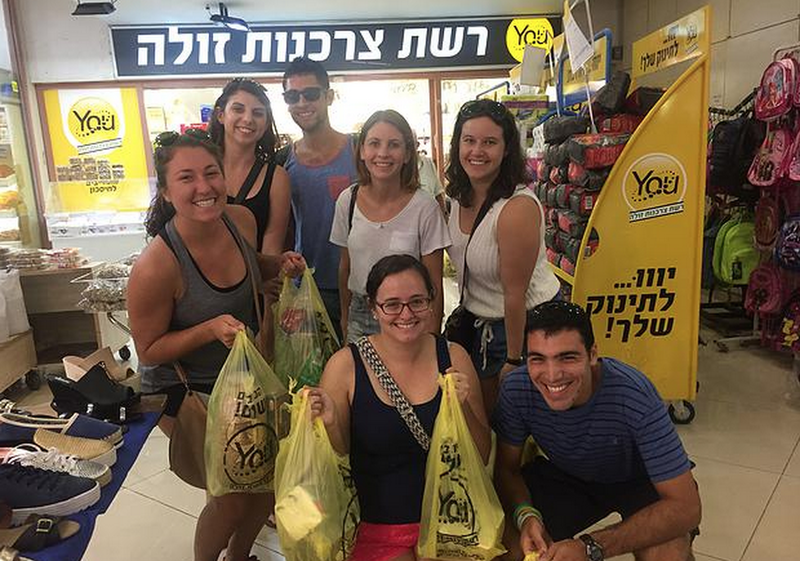 Today’s participant blog post comes from Daniel Hammerman, a participant in the Yahel Social Change Program. 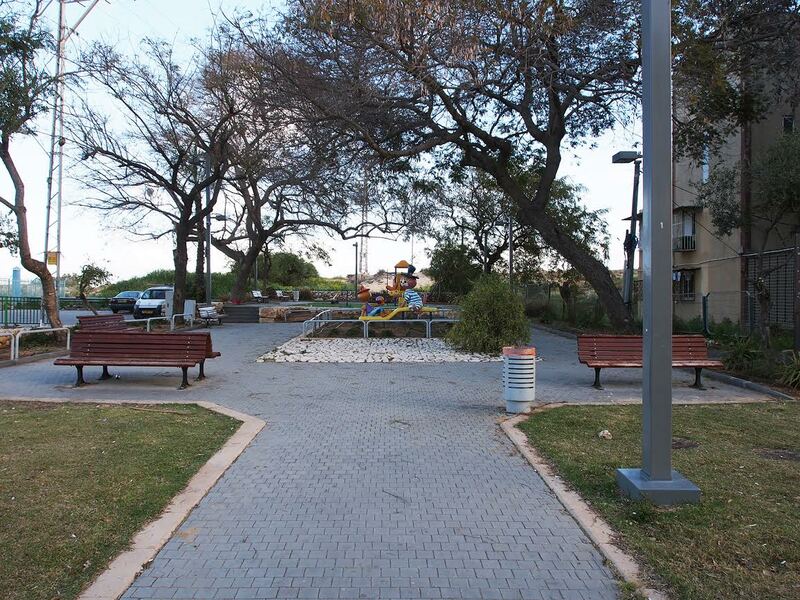 The group is living, learning and volunteering in Lod, Israel for 9 months this year. This post was taken from Daniel’s personal travel blog, which can be found here. This has been a very important week for me because it was my first week of working at Elrazi, an Arab elementary school located in a poor neighborhood adjacent to Lod’s Old City. It is also notorious for being one of the most troublesome schools in Lod due to its disruptive students, underdeveloped discipline system, and poor academic results. I am working in the 4th, 5th, and 6th grades along with another Yahel volunteer every Sunday, Tuesday, and Wednesday. My position at Elrazi encompasses a large chunk of my weekly schedule, and I have found it to be a difficult commitment. Not only have I been placed into a vastly different cultural environment where I do not know the language and customs, but I have the responsibility to overcome the barriers put before me and deliver favorable results out of a school known for its unsuccessful reputation. As I go through my long days at school, it can definitely feel like I have the world on my shoulders and I am being provided with tasks that are impossible to complete. However, I knew there would be challenges when deciding to volunteer there, and I am hopeful that as time goes on the fulfilling aspects of this job will outweigh the hardships. 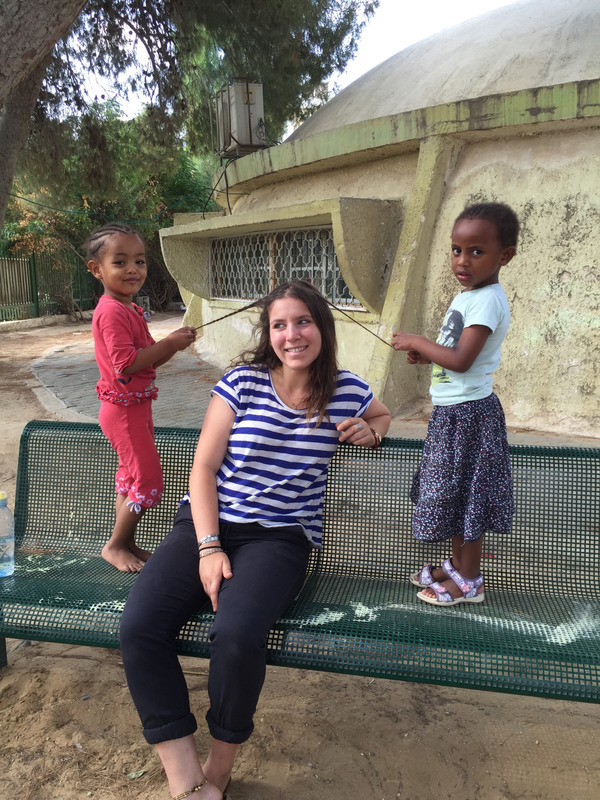 Just within the past week, I have learned much about getting across language barriers, engaging children in ways that allow them to simultaneously learn and have fun, and the broader situation in Israel between Jews and Arabs. I know I will continue to learn and use these methods to ensure beneficial outcomes for both my kids and myself. A main thing I have discovered from this week is teaching English to non-native speakers is hard, especially when English is their fourth language. Especially in the fourth grade, where the students are still learning English letters and do not even have the ability to communicate in Hebrew, any attempt of mine to communicate in English seems futile. In these cases, I am forced to use creative methods. Whether it involves performing an action (like writing words in English) and having them copy it or using hand motions and body language to convey what I want them to do, I am realizing that I can slowly but surely overcome a language barrier and help my students learn English. It also helps that I have immense support from Elrazi’s English teacher, Adel, who is always available to translate my words to Arabic and discipline kids who have behavioral issues. I have also found that an effective way to help these kids learn English is to engage them through games. I discovered this one day last week, when Adel provided me the task of running fun activities for each class that could reinforce what each grade was learning. This was my first big task of the year, and along with my fellow volunteer Jodie, I enthusiastically accepted this assignment. Jodie and I decided to create a relay race competition with two teams that involved writing down as many English words as possible corresponding to specific categories within a set amount of time. There were some categories we used for all the grades, like colors and foods, and there were some we included to reinforce what the classes were learning at the time, like letters, numbers and the present progressive (verb + ing). Ultimately, we were able to create an activity that was both fun and able to teach and reinforce essential English knowledge for each grade level. It also gave us the opportunity to plan and run a lesson for each class. 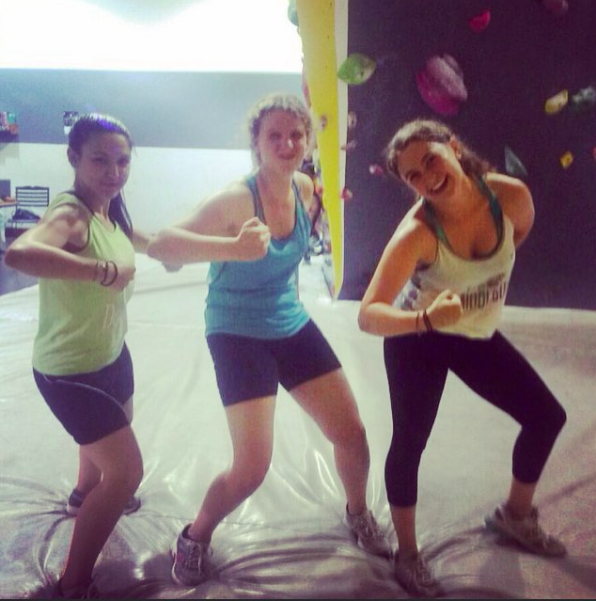 For me, it was rewarding to experience planning a class activity, because I was having some difficulty thinking of one and now I know that it can be a simple idea that is easy to implement. This was a great experience for me, and I am grateful for the confidence that it granted me and the kids going forward. 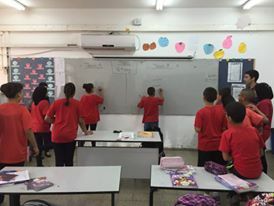 A photo my friend Jodie caught of me leading a game in class at Elrazi school to teach English. Another thing I have appreciated is getting a unique perspective about Israeli society that many people, including Israelis, never get to understand. For the short time I have worked with Arab kids, I have seen that Arab society is very different than what Americans and Israelis generally expect it to be. When speaking to Israelis, including those in mixed cities like Lod, I seem to get one common response about Arabs: they are trained from a young age to hate Jews, and therefore there is no way to reason with them. I saw example of this when talking to someone who was working at an activities fair in Lod at a community center that is predominantly inhabited by Arabs. Even though this man interacts with many Israeli Arabs, he was adamant that Arab citizens of Israel want to see Jews get killed and the eradication of the State of Israel. 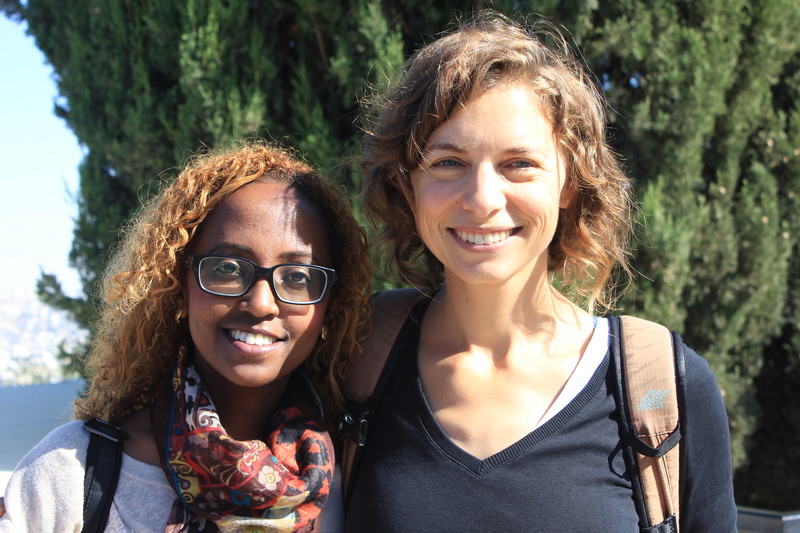 While I tend to shy away from political discussions in order to be polite and “politically correct,” even though there is no such thing in Israel, all of the encounters I have had with Arabs have explicitly countered the popular “us vs. them” narrative. All of the Arab educators and activists my group has met know that we are Jewish and here to help the State of Israel, and they have still welcomed us with open arms. They see that there does not need to be a rivalry between Jews and Arabs, and that we can work together to promote causes that benefit both groups. This has also been apparent in the school I’m working in. Though I don’t discuss politics with the kids and teachers I work with, they all know I’m an American Jew who is there because of my strong connection to Israel. The kids I interact with know I am Jewish and speak Hebrew, and instead of judging me they continue to engage me and feel comfortable in my presence. 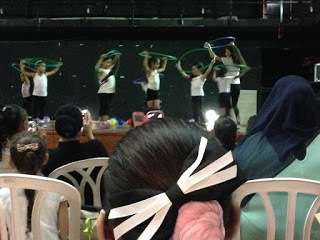 Watching a group of Arab children perform at a community center. They were dancing to Let it Go, and my heart was melting. I have also learned that contrary to the opinion of the man I met at the community center, there is nothing in the Arab curriculum about hating Jews or the State of Israel. 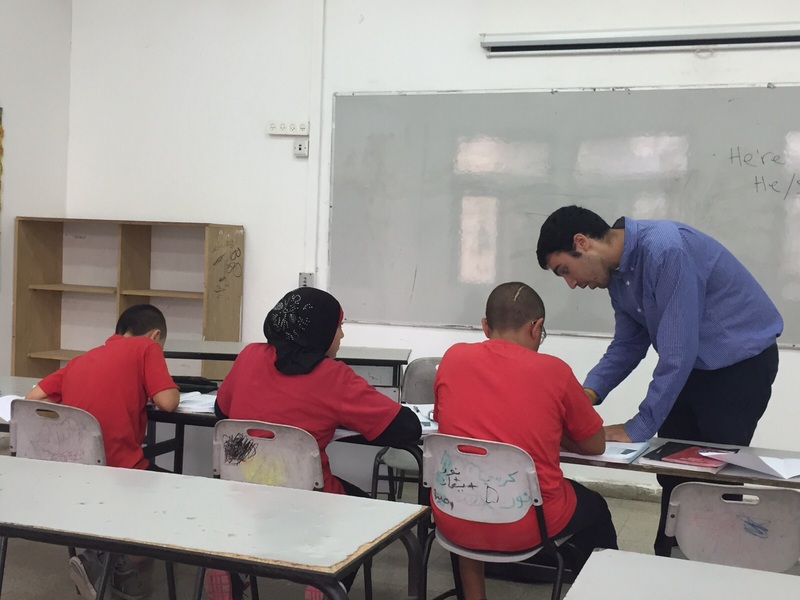 These kids start their day with an assembly in which they learn values from the Qur’an, and then they spend the rest of their day learning the standard subjects of Israeli Arab schools such as Arabic, Hebrew, English, math, and science. These kids follow the same basic routine as any other elementary school-aged kids, and yet Israeli Jews who pass by them daily are convinced their routine consists of a gigantic propaganda bubble. I hope that through my interactions with the Arab population of Lod, both Jews and Arabs will be able to dispel the myths about the other and realize the common values and potential that can be brought out when working together for a common goal. I am confident that through my continued encounters with the Arab population of Lod, I will be able to build trust between myself and my Arab students and colleagues and establish strong friendships and partnerships. I look forward to learning more about my Arab neighbors, specifically the kids I’m working with, and listening to their feelings about issues that concern them. After I connect to these people more and learn more about their perspectives, I feel I will be much more well-rounded and educated about the issues I care about regarding Israel. I will have ample opportunities to meet and learn from fellow Lodians this coming week, as I start my afternoon volunteer placements at a local library, a community garden, and the Lod Young Adults Center. 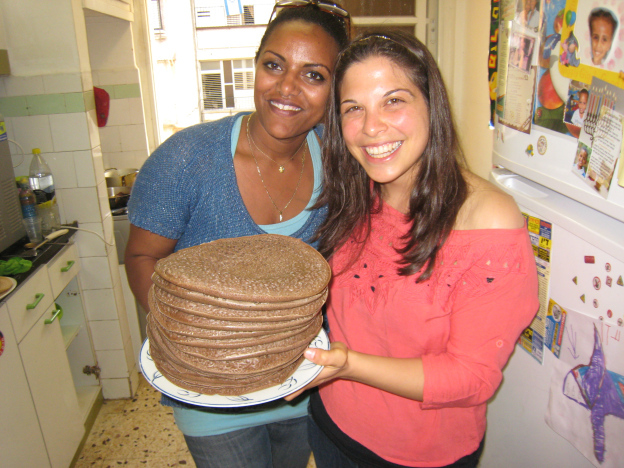 Shavua tov (good week) to all! I hope to post more updates soon!